Looking to move to the Courthouse Area In Virginia Beach? Here are the Courthouse Area homes for sale! 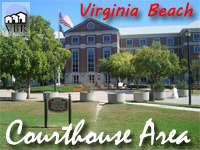 The Courthouse area is near, surprise, the Virginia Beach courthouse. The area is near the Virginia Beach Amphitheater, which host some of the finest musical events the area has to offer. Arnold Palmer’s Signature at West Neck Golf Club is here. There is a fairly new shopping center that borders on being an outside mall. Landstown Commons has many excellent, upscale shops and restaurants! Virginia Beach Farmer’s Market is close by. Interstate 64 and Interstate 264 are both a healthy drive away. The homes here are quite nice, as you will see below! Nearby neighborhoods include Victoria Park, West Neck and Indian River Plantation. The courthouse area is in the Kellam High School Zone. 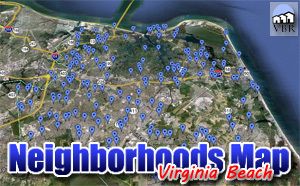 We have a page with all the homes for sale in Courthouse Area in Virginia Beach. Click on this button to see everything currently listed there. When you find a home you would like to see, please let me know! Call (757)589-1237 and I will arrange a showing! Or, on the property, complete the Find Out More form and click submit. I will get information to you right away! ← Tom Taylor Sells Homes!